Transperth’s first mobile app is a success - netting a quarter of a million downloads since it was introduced to public last year. The Transperth app was launched for Android users in mid-December 2013 and for iOS in mid-January 2014. The app which allows passengers to plan their journey, countdown to when their train arrives, view disruption and fare information and get their SmartRider balance. 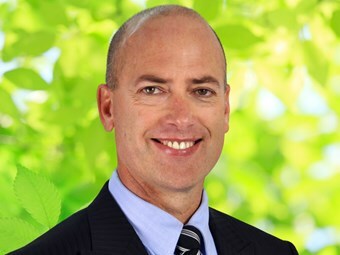 Western Australia Transport Minister Dean Nalder says the app is another way in which the State Government is making public transport an easier and more appealing option for West Australians. "This app is about delivering accurate travel information to passengers as quickly and conveniently as possible," Nalder says. "At the touch of a few icons, passengers can see their nearest stop, the next few services and check things like their SmartRider balance. "Earlier this year, Transperth also updated its website to make it more user-friendly and to add in features like MyAccount, Transperth’s subscriber-based email advisory service, and SmartParker." Nalder says Transperth will continue to refine the app with a variety of features under consideration. These include push notifications in the event of real-time interruptions, SmartParker and bike locker access management, and improved feedback functionality so customers could report graffiti or damage. "The success of this app in its first year of release is testament to its usefulness, but we all know embracing modern technology also means we need to be prepared to constantly innovate," he says. "This is why Transperth is continuing the roll-out of GPS tracking in its buses. "By the time the Perth Busport is complete in 2016, passengers will be able to see exactly where their next service is in relation to their stop."